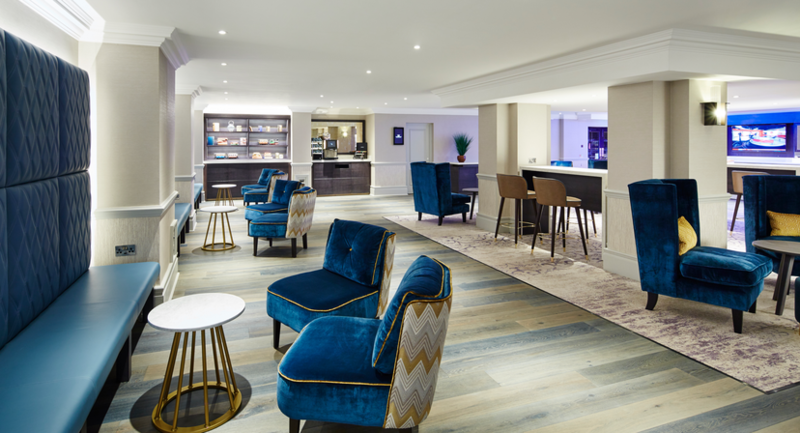 Hanbury Manor Marriott Hotel & Country Club offers award-winning luxury and a prime location in beautiful Ware, Hertfordshire, just 25 miles from London. Perched on 200 acres of land, our hotel features 5-star accommodation, a championship golf course, a spa and a leisure club. Plan your meeting within the hotel’s 13,304 square feet of versatile, one-of-a-kind function space, including the stylish Poles Hall venue, which can seat 160. 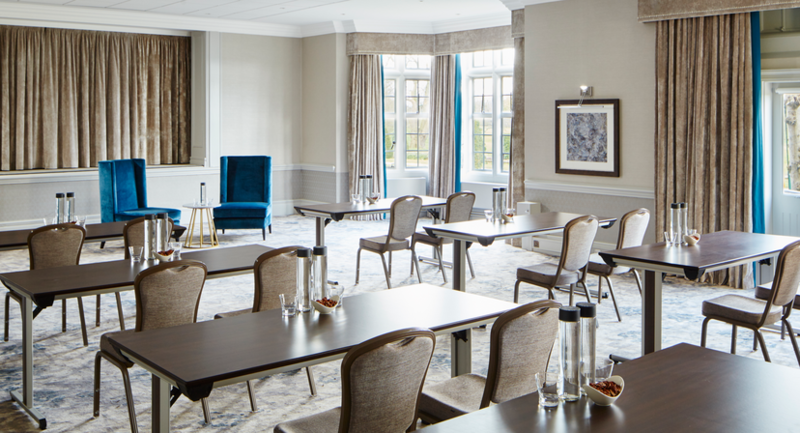 Experienced and helpful event planners are ready to assist with everything from venue choice to catering and group accommodation blocks for your colleagues; our Marriott Meetings programme helps you discover tips and suggestions for enhancing your gathering. 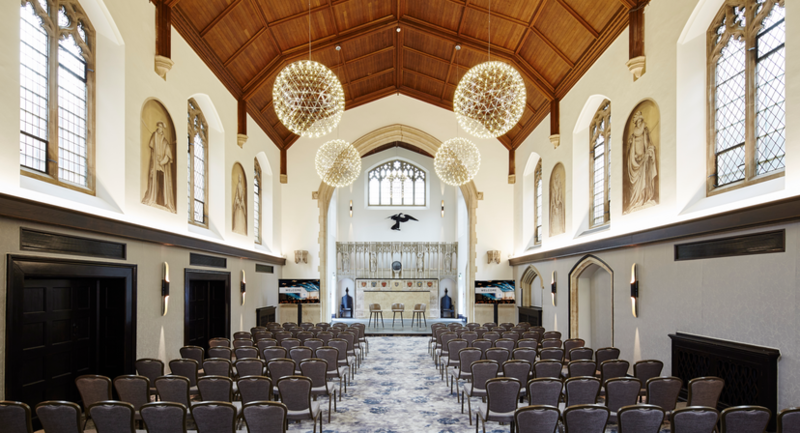 Originally the chapel of the Manor House, Poles Hall is truly breathtaking. With vaulted ceilings, a minstrel gallery your wedding or banqueting dinner will be unforgettable. Named after the nearby village of Thundridge, the Thundridge Suite provides a spectacular setting, with views across the Championship golf course and capacity for up to 180 guests for a reception. 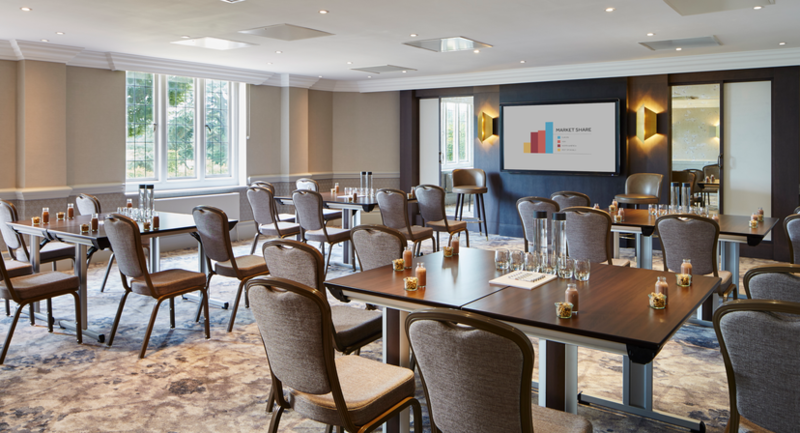 The Willow room is ideal for intimate meetings due to its modern glass ceiling and wall that allows for plenty of natural day light to give the room a sense of spaciousness. 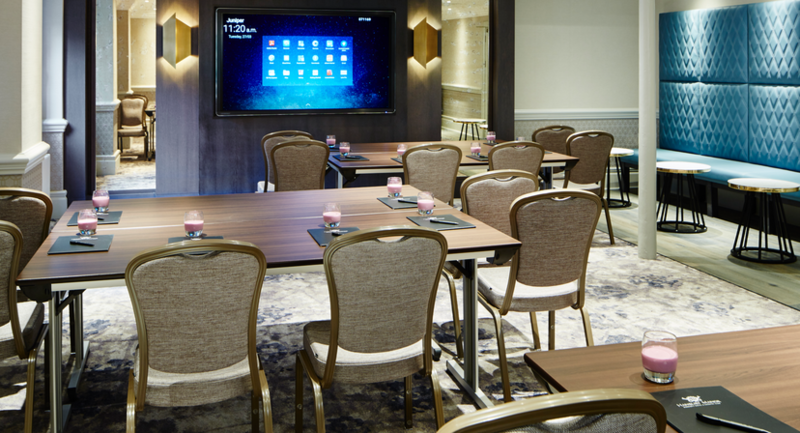 The room has been renovated to include innovative technology, such as the Clevertouch screen, which allows for engaging discussions to be held. Like the hotel, the Cedar room is decorated in the traditional archaic style with its wooden, high arched ceilings. The cedar room has a sleek modern finish that makes it a perfect room for small meetings. The room has suspended lighting, as well as windows to provide light and air. The Pine room has a wide lattice window that floods the room with daylight. 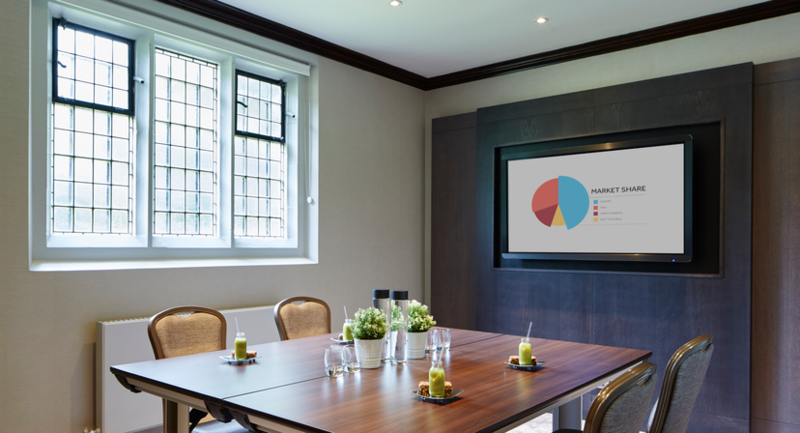 The Pine room boasts a wooden feature wall with a Clevertouch screen built in. The room also includes spotlight lighting which contributes to the contemporary theme that is ideal for small scale meetings. 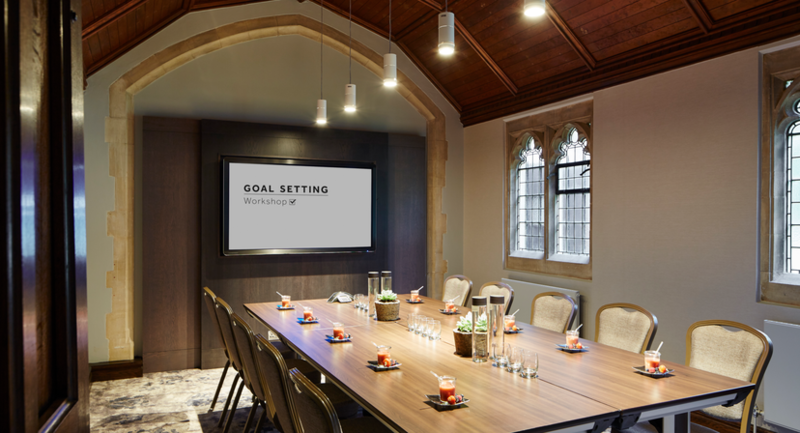 The Hawthorn Room is an L shaped meeting room with plenty of natural daylight. Traditionally decorated, the room is accompanied with high tech features such as WIFI internet access and a plasma screen. The Magnolia room, connecting with the Thundridge room has a great view to the golf course and lake. The Conservatory, with a private terrace and bar is an intimate setting for meetings, private dinners or wedding receptions. A light and airy room, with plentiful of natural day light. 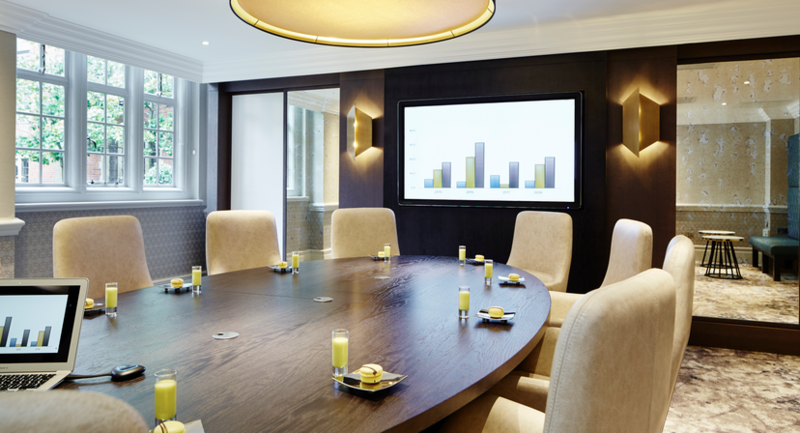 Sleek table top finishes, and a Clevertouch screen to make your discussions more engaging. Natural daylight floods the room, alongside controlled lighting to create and add ambience. Soft plush chairs to make your discussions as comfortable as possible. Spacious room with plenty of natural daylight, made complete by air conditioning unit and a plasma TV. Choose the Boardroom as the venue for your next small-scale event. 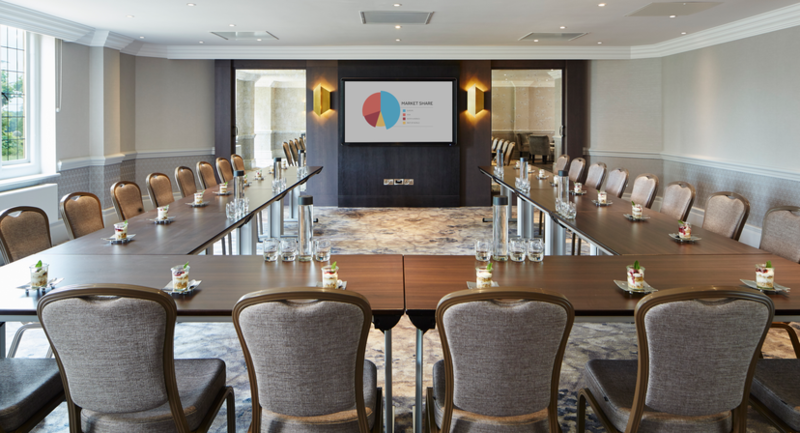 With natural daylight and luxury elegant furniture combined to create a stylish space that is perfect for board meetings and presentations. 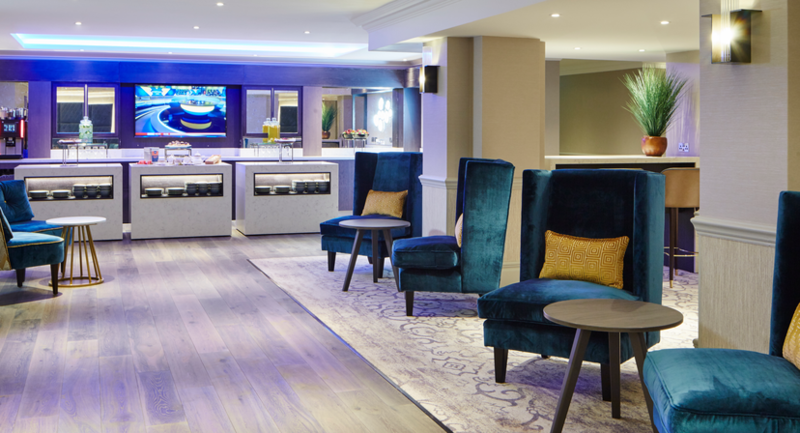 Bring elegance to your private meeting in the Library room. Keeping with the traditional interior of the rest of the hotel, the room is decorated with wood paneling, a large stone fireplace, and lit by a candelabra. 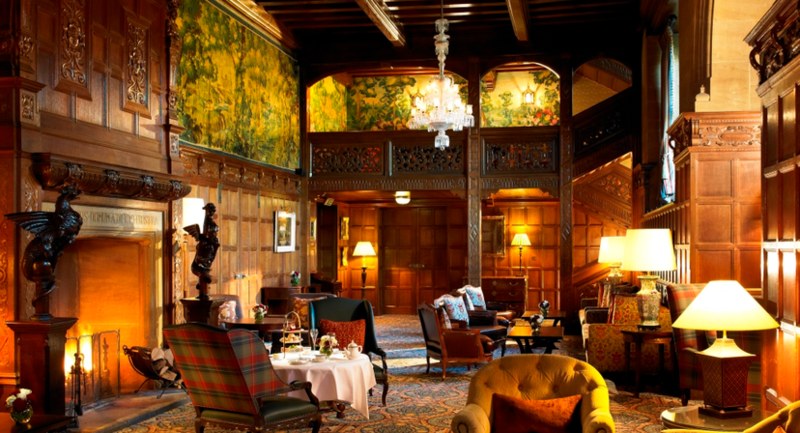 The Drawing Room features a remarkable stone fireplace, oak paneling and views across the golf course and lake. With its high arched ceilings and welcoming fireplace, the Zodiac is an ideal location for elegant dinners, afternoon tea parties. Garden Court is an elegant, private, self-contained setting with walled garden, 27 bedrooms and own kitchen wing. 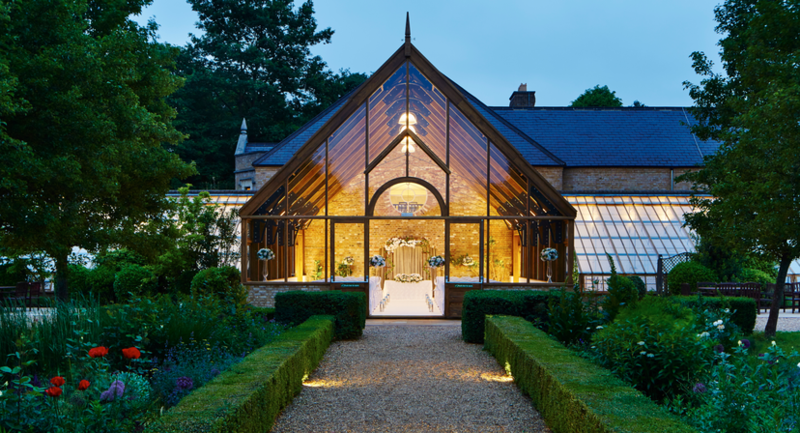 A beautiful walled garden lends itself well to photographs and aperitifs, making this a delightful location for your event.